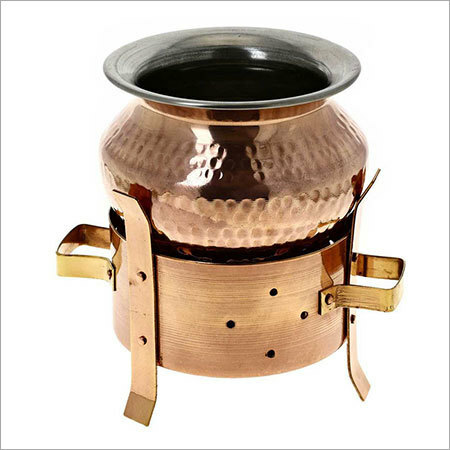 Copper handi pot is a cookware essential for every Indian kitchen. This handi comes with a stand with handles on both sides that makes it easier for a person to carry a hot handi pot filled with freshly cooked any Indian dish. This handi can be used as a serveware if the guest list is large enough. The inner lining of thus handi pot is of steel, which will not change the taste of food.